The ultimate teaching machine spirals out of control when the Vestron Video Collector’s Series releases the sci-fi thriller Class of 1999, arriving for the first time on limited edition Blu-ray on January 30 from Lionsgate. A high school principal employs robotic teachers to keep order in an inner-city school, but when the androids become deadly, opposing teenage gangs must unite to save their own lives. Starring Pam Grier, Stacy Keach, and Malcolm McDowell, Class of 1999 is packed with all-new special features, including audio commentaries with director Mark L. Lester, interviews with the crew and more! 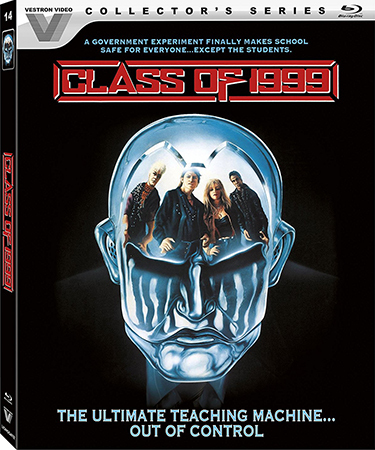 Restored and remastered, the Class of 1999 Blu-ray will be available January 30th. The time is the future, and youth gang violence is so high that the areas around some schools have become “free fire zones” into which not even the police will venture. 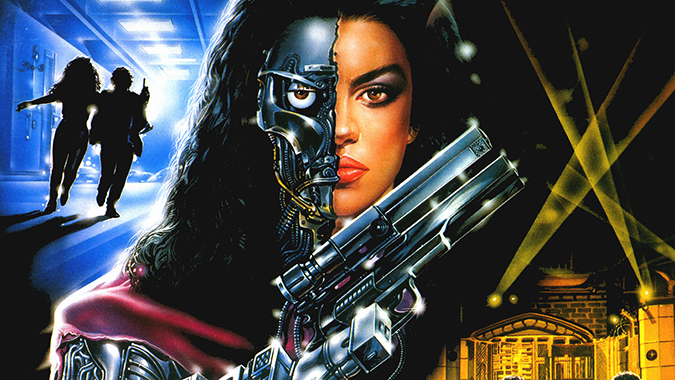 When Miles Langford (Malcolm McDowell), the principal of Kennedy High School, decides to take his school back from the gangs, robotics specialist Dr. Robert Forrest (Stacy Keach) provides “tactical education units.” These human-like androids have been programmed to teach and are supplied with weapons to handle discipline problems. These kids will get a lesson in staying alive!